Even those who used to wear their hair short, sometimes you want to change your style and make a bouffant updo. In this situation, will earn the hairpiece. It can be done such that even the most watchful eye can't distinguish the false hair to your own. Hairpiece can buy in the store or to weave. In both cases, it is important to find the hair so that they fully meet your not only in color but also in structure. - round disc with a diameter of 5-6 cm. Make treebank. 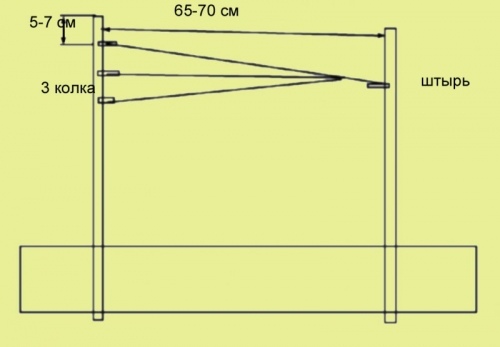 Attach to the table 2 vertical posts at a distance of 65-70 cm from each other. The rack can be removable. In this case, the edge of the table just clamped using a clamp. If nothing suitable at hand, just fasten to the table the same distance Reiki. They should stand strictly vertically. From the top left rack, measure 5-7 cm and make a mark. Here is the first peg. Second you need to attach strictly at first, and the third under the second. The distance between the pegs is equal to the interval between the top of the stand and top. On the right front mark the spot for the pin. It should be placed strictly in front of middle peg. Attach all the necessary details. For pegs it is most convenient to make holes. If nylon thread is wound on one big reel, rewind them on 3 small. Hairpiece for each thread must be at least 6 m. Coils are put on pins. Fix them so that the winding direction was the same. Pull the loose ends of the threads between the pegs and the pin and tie in a knot between the uprights, at a distance of 5 cm from the right. To start the netting, take Tres strand consisting of 10-20 long hairs. Moisten it with water. Swipe the end of the section next to the node facing away from you on top of the lower thread around the middle and along the top, and bring the end to itself over the top of the thread. Swipe it away between the upper and middle threads and bring yourself into the gap between the middle and bottom. Tighten the lock, slide it to the knot and press firmly. Nodules up to each other is most convenient with a needle. You have 2 strands of different length. The short end should not be less than 4 see the Remaining strands of weaves in the same way. Sure that they were tightly pressed against each other. Tres to hairpiece it is quite long. It is necessary to sew. This is done in a circle. First you make a ring, wrapped the end around Tres blanks. The hole need to wear a chignon on your own hair, tied in a ponytail. Then sew in a circle, trying to bind the turns as evenly as possible. The circle should be flat. For the holidays, carnivals, friendly parties and other events that require participants imagination and originality, not only children but also adults enjoy trying on new roles, wear costumes and portray various heroes and characters. 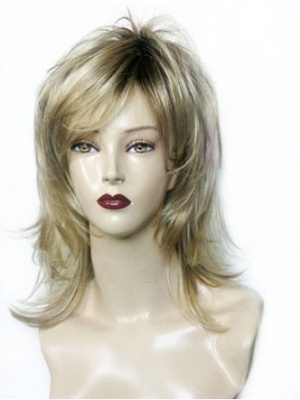 Often to complete a certain image, you may need a wig – but that doesn't mean that the wig you need to buy at the store. If you have experience with crochet, you will not be difficult to associate carnival wig for yourself or your child on any special event. Pick a thick enough yarn of wool or acrylic and find suitable for the thickness of the crochet hook. Tie spiral simple beanie, promazyvaya chains of columns with one nakida and not making the loop too tight. After hat is ready, take the yarn and cut it into strips suitable for the future wigand length. Take three or four strings, fold them in half and priderite in the loop of the cap, making a kind of fringe. Then take another bundle of yarns folded in two and priderite it next to the previous one. Continue to braid cap a fringe of filaments, starting from top to bottom edge. 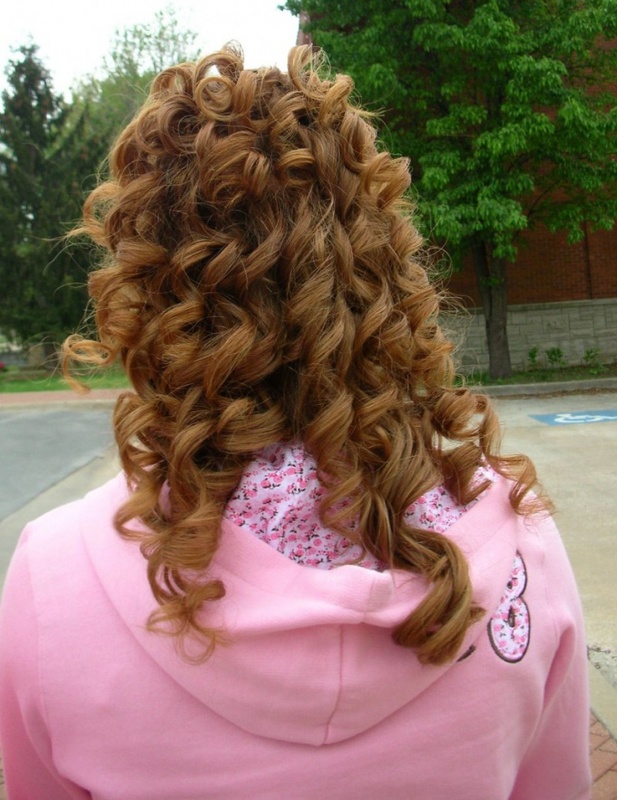 By varying the length of the strands, you can vary the density and volume of the wig. The denser to each other there will be bundles of fibers, the more uniform will be the cover of your wig, and the less visible the base of the cap. Try on the wig in the manufacturing process – after fitting to adjust the shape and length of "hair", vestregate bangs and add missing strands where it is noticeable the Foundation of the wig. Do not allow "bald" areas on wige – fill it with strands completely. To make a wig more natural, you can instead of yarn to weave the hat artificial hair (kanekalon), choosing fine strands from the total pack. Finished the wig and shake it into shape and make hair style – braids, ponytails, or leave the hair loose.